Are you a student getting ready to embark on a new academic year this fall? 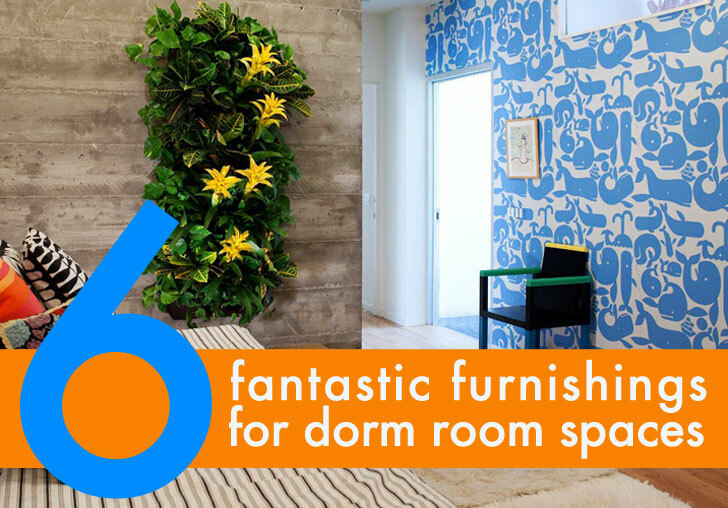 If you're one of the many who will be leaving the comfort of mom and dad's spacious digs for a teeny tiny dorm room, fret not; with the right furniture and decor, you can still live it up like you live in a penthouse. We've rounded up 6 super designs that will transform your cramped quarters into a cozy yet modern space all your friends will covet. 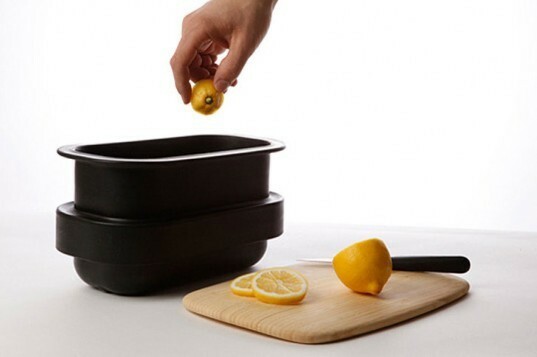 From a futon bunk bed for your friends to crash on to a freezer composter to toss all those uneaten pizza crusts into, see our top 6 picks ahead! If you plan on purchasing a bed for your new space, you might as well get one that multi-tasks as storage for all your sweat pants and late-night snacks (we kid!). The Paperpedic Bed by Karton is a 100 percent recyclable bed that can expand from twin sized to king, and it boasts a set of spacious drawers in its base. Supposedly the bed is big enough to comfortably sleep up to 10 people. No room for a garden? Think again! Build your own vertical garden using a set of Woolley Pockets. These breathable little pockets are composed of 60% recycled plastic bottles and are said to be more conducive for plant growth than your average pot. Plant one for a splash of green or ten for a forrest like array — you really can’t go wrong! What better way to wrap up a hard week of studying than hosting a Friday night grill with some friends? 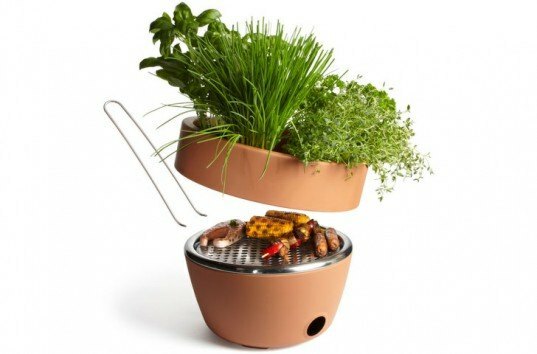 Originally designed for city-dwellers with limited space, Black + Blum‘s Hot-Pot BBQ is a stylish terra cotta planter that also moonlights as a grill. Plants some herbs and spices in lid to get even more out of your Hot-Pot! Lots of colleges and universities are jumping on the composting bandwagon, but you don’t have to keep tossing your organics just because you haven’t got space for a composter. Push some of those frozen foods aside and make room for the Fuccillo Bin, a non-toxic silicone bin that will store and prevent scraps from decomposing until you’re ready to drop it off at your local composting site. Once you get into the academic grind, it’s easy to forget that there is a whole world outside your bedroom window. 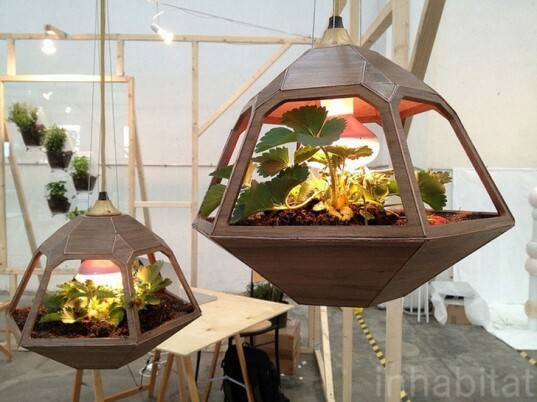 Keep nature close by with a Vicky Terrarium Lamp. This cool lamp will provide you plenty of light during all-nighters and give you a sweet little space to grow some fresh greens. But if you’re not looking to drop a ton of cash, you can also try making your own terrarium following our DIY instructions. Futons are a dorm room staple that gives tired friends a place to crash after a long night of party— err, we mean studying. But rather than just getting a single sleeper, do one better by your buddies by providing them with two crash spaces! Bonbon’s Doc Bunk Bed is as good as it gets, perfectly fusing functionality and aesthetic in small spaces. 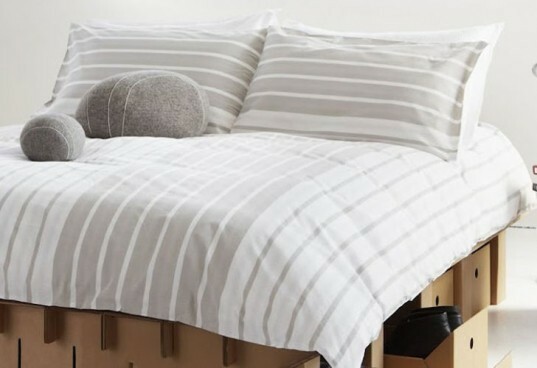 Cardboard Paperpedic Bed from Karton If you plan on purchasing a bed for your new space, you might as well get one that multi-tasks as storage for all your sweat pants and late-night snacks (we kid!). The Paperpedic Bed by Karton is a 100 percent recyclable bed that can expand from twin size to king, and it boasts a set of spacious drawers in its base. Supposedly the bed is big enough to comfortably sleep up to 10 people. Woolley Pockets No room for a garden? Think again! 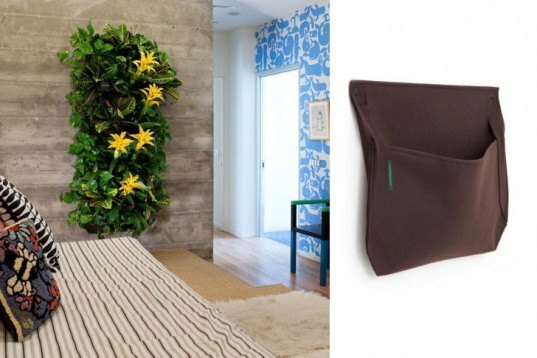 Build your own vertical garden using a set of Woolley Pockets. These breathable little pockets are composed of 60% recycled plastic bottles and are said to be more conducive for plant growth than your average pot. Plant one for a splash of green or ten for a forrest like array — you really can't go wrong! Black Blum Hot Pot BBQ What better way to wrap up a hard week of studying than hosting a Friday night grill with some friends? Originally designed for city-dwellers with limited space, Black + Blum's Hot-Pot BBQ is a stylish terra cotta planter that also moonlights as a grill. Plants some herbs and spices in lid to get even more out of your Hot-Pot! The Fuccillo Bin Lots of colleges and universities are jumping on the composting bandwagon, but you don't have to keep tossing your organics just because you haven't got space for a composter. Push some of those frozen foods aside and make room for the Fuccillo Bin, a non-toxic silicone bin that will store and prevent scraps from decomposing until you’re ready to drop it off at your local composting site. Vicky Pendant Lamp Terrarium Once you get into the academic grind, it's easy to forget that there is a whole world outside your bedroom window. Keep nature close by with a Vicky Terrarium Lamp. This cool lamp will provide you plenty of light during all-nighters and give you a sweet little space to grow some fresh greens. But if you're not looking to drop a ton of cash, you can also try making your own terrarium following our DIY instructions. 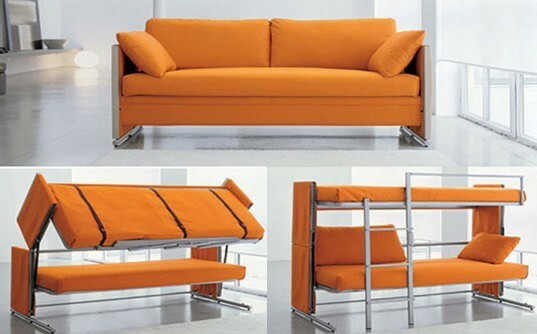 Bonbon Convertible Doc Sofa and Bunk Bed Futons are a dorm room staple that gives tired friends a place to crash after a long night of party—err, we mean studying. But rather than just getting a single sleeper, do one better by your buddies by providing them with two crash spaces! Bonbon's Doc Bunk Bed is as good as it gets, perfectly fusing functionality and aesthetic in small spaces.